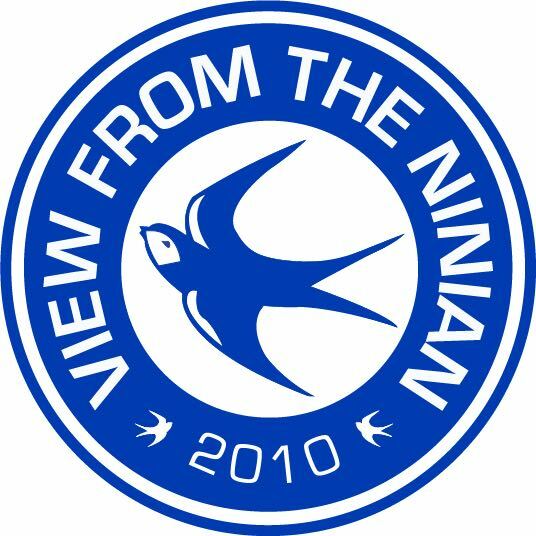 View From the Ninian’ Bethan Phillips went to see what the Where Everyone Plays campaign was all about, and also got an exclusive interview with Danny. As part of Coca-Cola and the Premier League’s Where Everyone Plays campaign, Coca-Cola are bringing fans closer to the action with the Trophy Tour. What do you think of #WhereEveryonePlays? I’m excited to be here first and foremost. As we know, Coca Cola is a massive global brand and an official partner with the Premier League, so I think it’s a fantastic campaign. As you said, its bringing fans closer to the action and having played in the Premier League myself, I know how global it is. It’s watched by millions of people all over the world. This campaign that Coca Cola has launched supports everything that’s good about the Premier League and a big part of that is the fans. It’s a really good opportunity for the fans are able to get up close and personal with what the Premier League is all about. The trophy is here, so it’s good for people to see that first hand. There’s lots of activities going on and they go all around the country in the Coca Cola bus, trying to give a little bit back to the fans and give them that experience. Hopefully it’s a good experience for them. I think it’s a fantastic concept and I’m happy to be a part of it. So what are your thoughts on the season so far? Have the players exceeded your expectations? Are they where you thought they might be at this stage in the season and what are the positives of the season so far, or what can we improve on? I think it’s been a difficult season, but I think we probably all kind of knew it would be. You look at the Premier League now and how competitive it is – everybody is spending big money and looking to improve. With Cardiff coming up from the Championship and with the money that was spent, it was always going to be a difficult season. I think, where Cardiff are at the minute is probably where I expected them to be. There’s been some good moments and some tough moments as well. Credit to the players, the management, the staff – who with six games left to go, still have a fighting chance to stay in the League. As we know, there’s been a lot of things going on this season – on and off the field stuff, which you wouldn’t have anticipated happening. It’s been a lot to deal with and a lot of people were writing Cardiff off before a ball was even kicked. With six games to go, Cardiff are still in with a fighting chance to stay in the League and it’s credit to them. We’ll just have to wait and see what happens in those games and hopefully they can get the job done and be in the Premier League for next season. It’s been a long hard season, but as I said, credit to everyone so far – but still work to be done! As you’ve mentioned, six games left in the season and two of those are arguably the most crucial of the season so far – with Burnley and Brighton to play away from home consecutively. Brighton of course have done very well in the FA Cup and we’ve then had a few fixtures changed around. How do you see those two games going and can Cardiff survive? Well, first and foremost, of course they can. I think they’ve shown throughout the season some really good moments and really good performances. They’ve shown at times that they belong in the Premier League. Now is the time really, with six games left. There can be no more mistakes. So in a way, that’s a positive – the players know what they need to do. There are winnable games there, as you said. It’s all about having a positive mind-set now. Yes, the pressure is going to be on them, but it’s about Cardiff not worrying about what Burnley are doing or what anyone else is doing. They just need to concentrate on themselves and, as a player, if you’re sat at home and looking at the other results coming in, it can just add a bit more nerves to things and pressure when you have to play. I think it’s just about having a positive mind set and just trying to go out there and trying to get results, because as I said, they can’t afford to sit back against teams and try and defend or try and nick a draw here or there, they need to win games now. In one way, that’s a positive, but it also brings added pressure as well, so it’s just about the players now stepping up and showing what they’re made of. It’s also about the fans getting behind the team, as they have throughout the season. They’ve been amazing. So there’s been a lot of speculation this week regarding Neil Warnock and of course, I was delighted as a fan, when he said that “if Vincent Tan wants me, I’ll stay.” Regardless of that speculation, what do you think of the job he’s done this season, so far? Personally, I think he’s been fantastic since he’s come in, but what are your thoughts on the job he’s done? I think like you say, Bethan, we need to go back to when he first came in to the club and where the club was at the time. I don’t think there’s too many managers that could come into that situation and do what he’s done in such a short period of time. He was exactly what the club needed – an experienced manager, who can run a club from basically top to bottom. It’s not just about coming in and getting the right system of play on the field or getting the team playing, I think there were other things that needed to be sorted out in the club and the way that he’s kind of brought the fans back as well, it’s been amazing. To get promotion that quickly is nothing short of a miracle, really. So, he’s been absolutely fantastic and my opinion hasn’t really changed this season. Like we said, it’s been a difficult season and one again that I don’t think many managers could’ve handled as well as him. He’s had to use all of his experience, not just from the playing side, but also some of the off the field stuff that has happened. The way he’s conducted himself has been fantastic. If I had to evaluate his performance, I think he’s done a fantastic job. If he could keep Cardiff City in the Premier League then for me, he’s probably the manager of the year with everything that’s gone on; especially with the relative lack of money and investment. It’ll be another miracle. The Premier League is so competitive now, there’s so many good teams. Everybody is improving their level every year and it’s so difficult for these promoted teams to come up and survive. What he’s done up until now has been incredible, but there’s still a little bit of work to be done. Hopefully he can use all of his year’s of experience and keep Cardiff City where it belongs, because for me, it’s a Premier League team. The city is fantastic and everything is geared up for them to be a Premier League side for many years to come, so hopefully he can do that. I would like to ask you about an article that you’ve written recently for the Guardian on racism in football. It was a shame in one sense that it had to be written and you’re not the only person in the football community to write about your experiences. Danny Rose and Raheem Sterling have also recently discussed the issue of racism in the game. It’s a shame because we thought the game had moved on, but do you think the game has moved on? What do you think we need to do to stamp racism out of football? It’s a difficult one. Whether it can be totally eradicated, I’m not so sure. You say stamp it out of football, it’s not really a football thing – it’s a society thing, more than anything, so that’s very difficult. It’s not something that I’ve spoken about too much myself, but I felt the need to. I think in the past, players have been very shy about talking about it or maybe have not been allowed to talk about it, but certainly now in 2019, the way the world is now, social media and everything – I think everyone has more of a voice. I think that’s a good thing because it’s something that needs to be spoken about more. Especially players like Raheem Sterling and Danny Rose who’ve spoken out as well and myself, people who’ve experienced racism. It’s really important that these people stand up and speak out and try and educate people the best way they can. How do you eradicate it? I really don’t know. I think it starts from the bottom all the way up to the top. I’m talking about educating the young society of today, trying to change the mentality of them. As Gareth Southgate said, it’s much easier to convince younger people than it is older people. I think you have to start there and look at all the way to the top – people in positions of power. I think there needs to be more ethnic diversity between the people at the top who are making the decisions as well and imposing the bans. I just think, how can you understand racism unless you’ve been through it? So I think to have these more diverse people at that level, the younger generation can look up to people who’ve been through those situations – I think it would help a lot to educate younger people. There needs to be more diversity as a whole for people to change their thinking. Whether it’s black people, whether it’s Asian people, I just think we are all very quick to have a perception of what these people are and what these people stand for. I think if there’s more diversity at higher levels and if there’s more black people in positions of power, or making decisions, or whether it’s Asian people, I then think the perception of that will change. If you’re a younger person then, you’ve got someone there to look up to and educated by, almost. It’s a difficult one to eradicate really because as I said, it’s a society thing and not just a football thing. People are just using football as a platform to promote racism really, so it goes a lot deeper than that. It’s something that’s going to take a long, long time to sort out. I do think the UK are more proactive than other countries, so I do think we’re very much more aware of what’s going on and kind of stop it, but it is very difficult and it has to start with people coming out and speaking about it, which people are now starting to do, so hopefully that can kind of be a catalyst for change. One final question. When West Ham played Cardiff this season, who did you support?! That’s a good question! I’d have to say those two clubs probably had the biggest influence on my career to be fair and where I spent most of my career. Obviously, I was at Cardiff for five years and at West Ham for a similar amount of time. That’s where I had my biggest development – at those two clubs… but Cardiff of course! It has to be Cardiff. Cardiff need the points more than West Ham do. West Ham have no trouble with relegation. I’ve got to say Cardiff really – being a Welshman and being forever in debt to Cardiff City for what they did for me as a player. I would never have moved to West Ham without the grounding that Cardiff gave me. So I think Cardiff will always be that level ahead of West Ham, so I was delighted when West Ham lost the game because Cardiff needed the points! I mean, I love both teams, but Cardiff, just that little bit more.